SkinPen® is the safest, most effective vertical micro-needling device that offers state-of-the-art skin rejuvenating technology. By creating a series of hundreds of vertical microscopic channels into the dermis, SkinPen® stimulates the natural production of new collagen and elastin. Your skin and desired results deserve the quality and safety of SkinPen®. A comfortable procedure. Based on your specific needs, your provider may apply a topical numbing agent to ensure your comfort during the procedure. Mild post-procedure effects . The skin will appear slightly pink to red immediately post-procedure, similar to a mild to moderate sunburn. Soothing aftercare. Your clinician will apply Skinfuse® RESCUE Calming Complex immediately post-procedure. 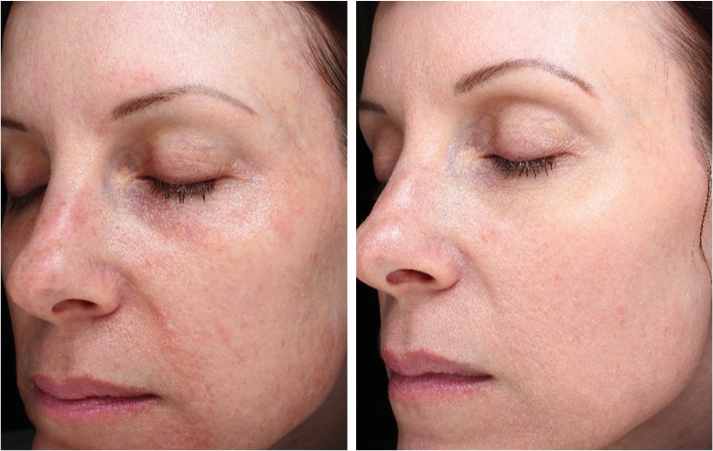 RESCUE was formulated by Bellus Medical as part of the Skinfuse® post-procedure protocol specifically for post-microneedling to calm the skin. A plan for optimal results. Your clinician will recommend a course of procedures (typically 3-6) appropriate for your skin’s needs and request you return within 4-6 weeks for your next procedure to ensure optimal results. A post-procedure skin care regimen to optimize your results. Your clinician will provide you with a concise, easy-to-use skincare regimen formulated specifically to your needs. Visit Skinpen.com to see the amazing results that will last. Schedule Your Next Treatment Now!